Trying out for the The Ohio State University Flight Team was a whirlwind, but it was such a blast! It was fun to be back in a college environment and on a beautiful campus. 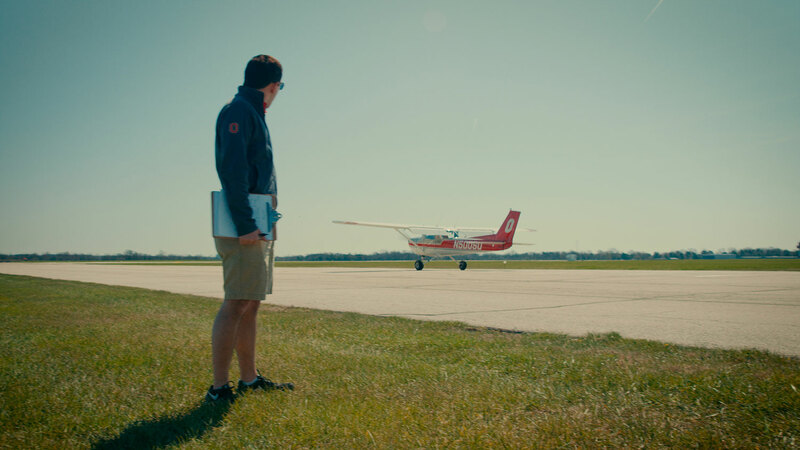 Students in the OSU aviation program really get the best of both worlds – they get to have that large Division I college experience while still being a part of a small program with a tight knit community of fellow aviation-lovers hanging out at the airport. The flight team exemplifies this the most. 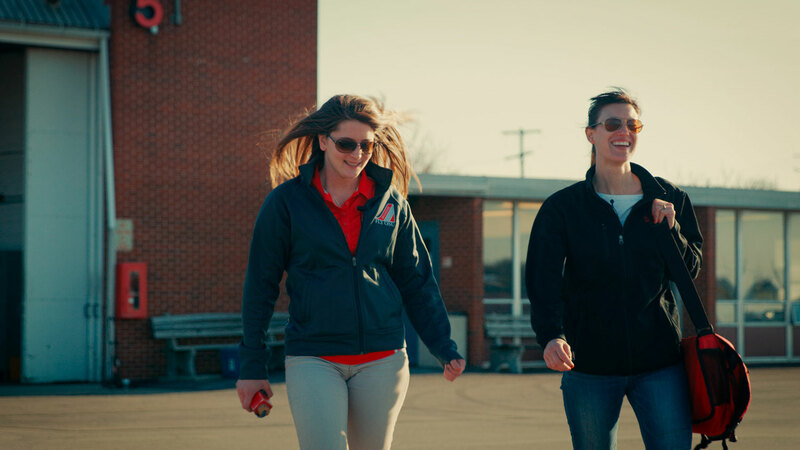 One look at their crazy practice schedule as the team gears up for competing at the national SAFECON competition this May proves that. The team practices on campus one day a week and out at the airport twice a week. Many of the team members also show up at the airport at sunrise to get some precision landings practice in, on their own, before class. As part of the flight team, you definitely take your piloting skills to a whole new level and caliber. Learning about nine of the events was an eye opener! I was a bit embarrassed about my lack of knowledge with the manual E6B computer. Sure, I learned it in ground school twelve years ago, but what I learned then didn’t even hit the surface of what the competitors in the Computer Accuracy event know and get tested on. I did have fun learning about the Ground Trainer event and flying the sim patterns (even though I would still need extra practice to even think about entering the ground training competition). Participating in this event must develop some really great instrument students, because you are challenged to scan your instruments skillfully to fly as precise as possible, keeping an exact altitude, heading, airspeed, and time. Each foot, degree, knot, or second you’re off from the assigned pattern gets a point added to your score and in this event, you want the lowest score possible. I was able to pick up some good tips during the short field landing and power off landing events. Coach John gave some good pointers on where to look when landing and remembering to use your peripheral view to get that perfect soft touchdown. 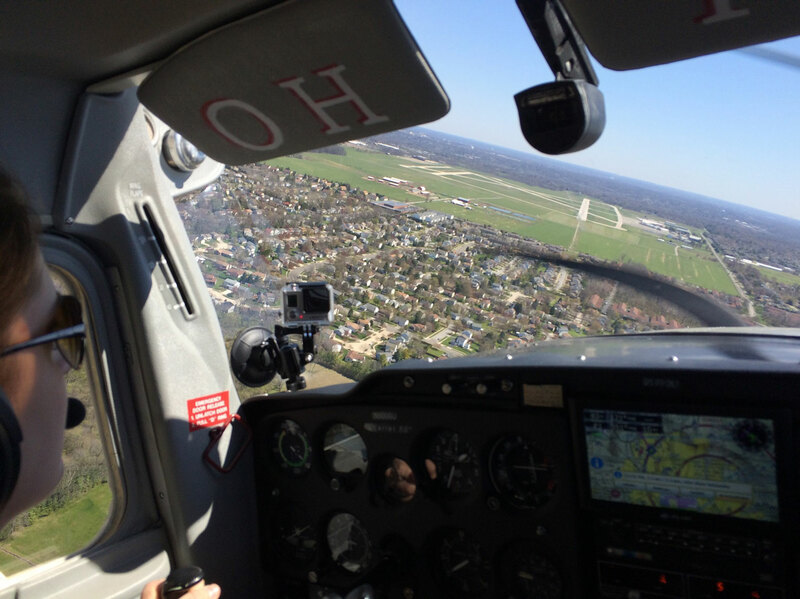 The mission of The Ohio State University Center for Aviation Studies is to incorporate engineering, business, and behavioral philosophies into a multi-disciplinary approach to the many components of the aviation industry, supporting world class flight education programs, academic degree programs, research initiatives, and outreach activities on local, regional, national, and international levels. The Ohio State Flight Team is a student competition team made up of some of the best collegiate aviators here at Ohio State. 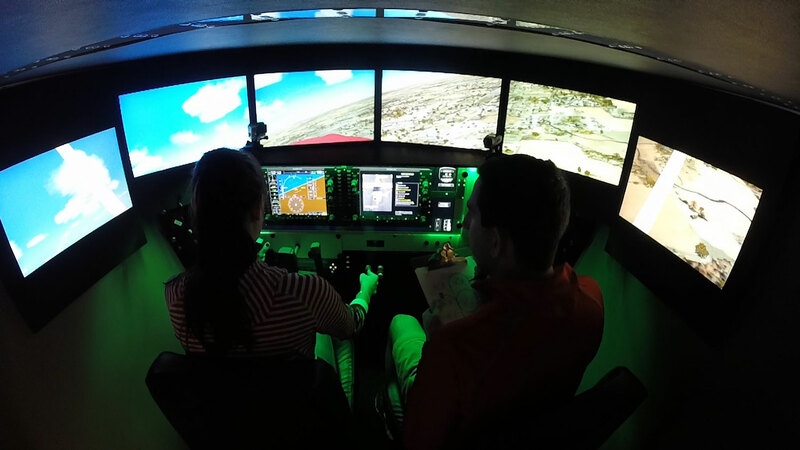 As a member of the flight team, students are able to sharpen their aviation skills and develop relationships with their peers and members of the aviation industry. 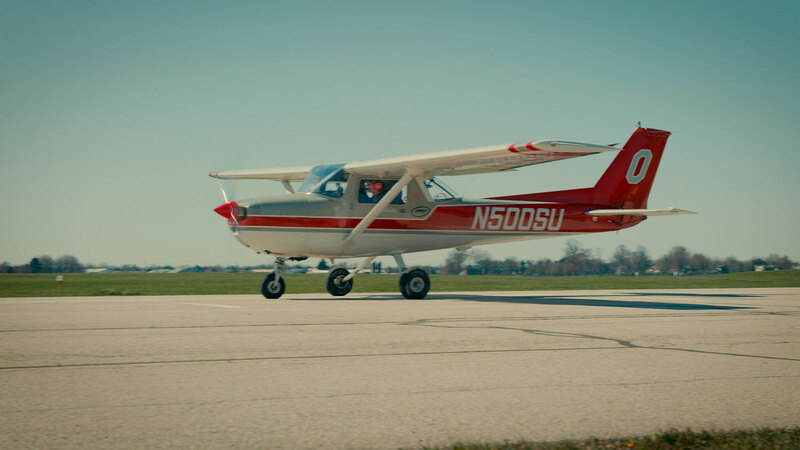 The team competes in The National Intercollegiate Flying Association (NIFA) which hosts Regional and National Safety and Flight Evaluation Conferences (SAFECON). 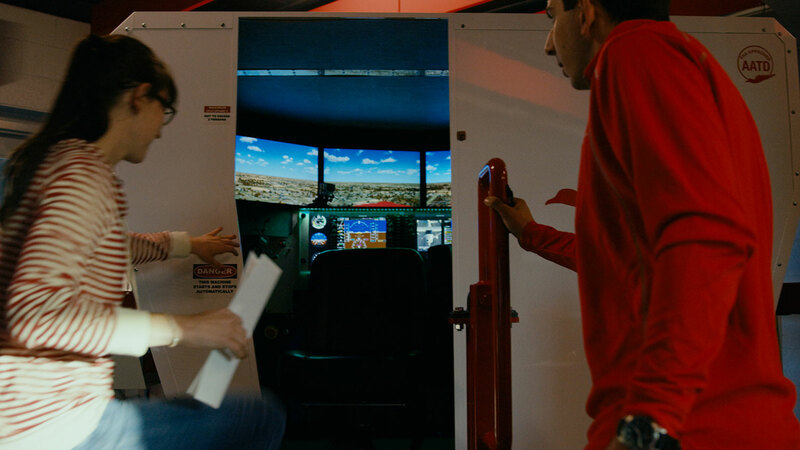 In SAFECON, flight teams compete in a number of ground and flight events honing the skills and knowledge of the next generation of aviation professionals. At the Regional level, Ohio State competes with five schools. The top three schools from each region around the country receive an invitation to the National SAFECON where approximately thirty to thirty-five schools from around the country compete. Normally, a National SAFECON includes more than 500 people between competitors, coaches, volunteers, and judges. Ohio State is consistently a top-five placing school in the nation, competing with greats such as Embry-Riddle, University of North Dakota, and Western Michigan University. The team travels the country to the National SAFECON, which this year is hosted at The Ohio State University in Columbus, Ohio. 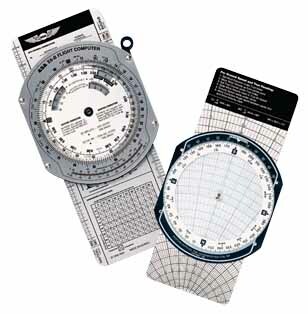 The E6B is circular slide rule that has been in use by pilots since 1933. 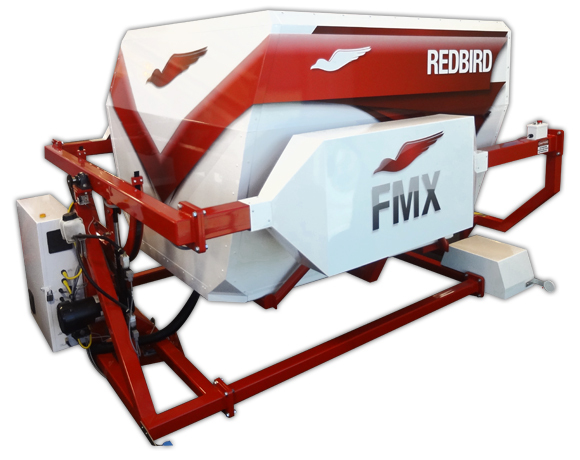 These flight computers are used to aid in calculating fuel burn, wind correction, time en route, and other items. While most pilots now use a digital flight computer, Flight Team requires a pilot to keep sharp with this analog tool. The Cessna 150 is a two-seat tricycle gear general aviation airplane that was designed for flight training, touring and personal use. The Cessna 150 is the fifth most produced civilian plane ever, with 23,839 aircraft produced. The Cessna 150 was offered for sale in the 150 basic model, Commuter, Commuter II, Patroller and the aerobatic Aerobat models. Special Thanks to The OSU Flight Team!